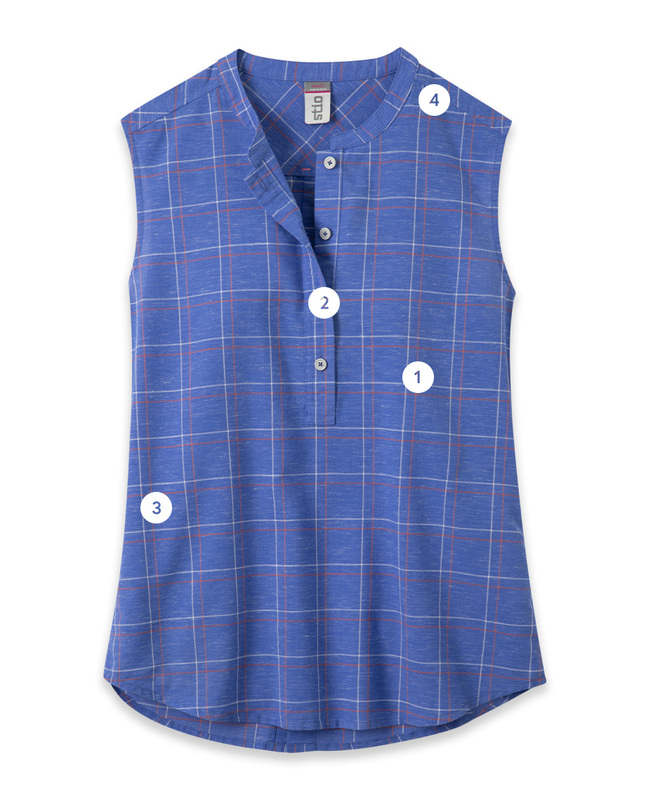 Lightweight, light-hearted and incredibly comfortable, the Poplar Sleeveless Shirt is a breezy, moisture-wicking summer top with straight, modern lines and a clean design. Perfect for warm nights around town and sweltering days where you’d prefer wearing nothing at all, the Poplar Sleeveless Shirt is a playful, pullover button-up with a barely-there feel and a modern, flattering look. Featuring the same ultra-breathable, fast-drying blend of cotton, polyester and linen as our Poplar Shirt, the Poplar Sleeveless keeps both air and style flowing through the hottest of summer days. Lynx™ is our cotton / polyester / linen blend, a sturdy fabric that is highly breathable and offers optimal moisture management. 48% cotton provides comfort and a soft hand as well as odor resistance and fabric strength. 42% polyester adds stretch, resists wrinkles and dries quickly, while the final 10% linen offers structure, dries quickly and is highly breathable for a fabric that combines the best of each thread. A playful pullover with a barely-there feel and a modern, flattering look.